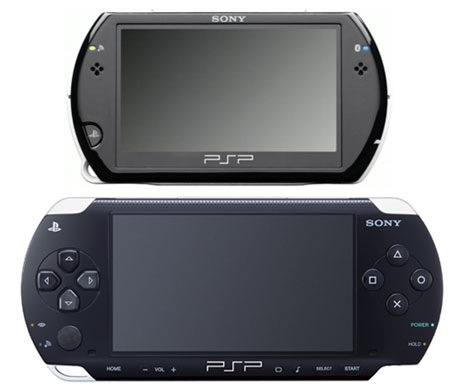 At E3 2009, we learned that Sony was going to produce a fourth model of the PSP, called the PSP Go. Here are the basic technical info you should know about Sony’s newest handheld device. Size: Depth (2.75”); Height (0.65”); Width (5.0”). CPU: MIPS R4000 timed at 1~333Mhz. Internal Memory: 16GB User and System Storage; Expandable. Memory Stick Format: Memory Stick Mircro (M2). Display: 3.8″ 16:9 Color TFT at 480 x 272 Sliding Screen. Battery: 5V DC non-removable battery. 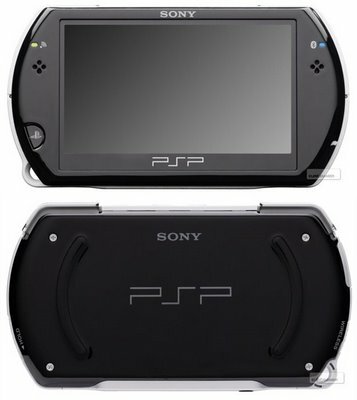 Wireless: 802.11b Wi-Fi; USB 2.0 via Media Go Software; Bluetooth 3.0; PS3. Input: USB 2.0; All in One Port; Headphone Jack; Mic; M2 slot. Video Input: Composite and Component. It will be released on October 1st, 2009 in North America and on November 1st, 2009 in Japan. It will be price at 249 US Dollars. This entry was posted	on Saturday, September 26th, 2009 at 10:00 AM	and is filed under Games. You can follow any responses to this entry through the RSS 2.0 feed. You can leave a response, or trackback from your own site.